Honda makes jets, robots and motorbikes, so why shouldn't Toyota manufacture pleasure boats? 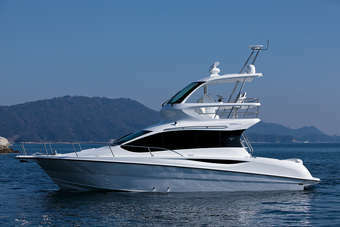 The company has just revealed the Ponam 35 in Japan, which it describes as 'a premium cruiser ideal for pleasure cruising and fishing that also offers comfortable accommodation'. Toyota modestly states that it expects to sell a mere 15 units of the new vessel in Japan annually. And the price? A fairly reasonable sounding JPY59,010,000, which is just under EUR540,000. The Ponam won't be cheap to fill, mind: the fuel tank capacity is 850 litres.